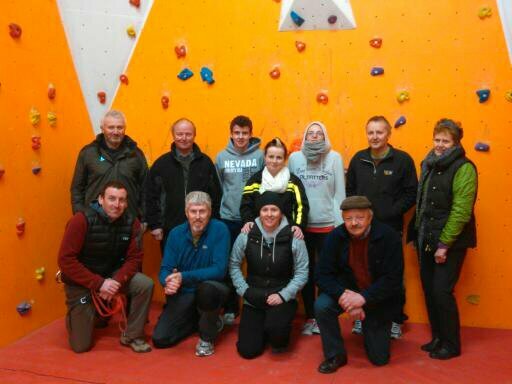 Due to the demand that Upper Limits (the first indoor climbing facility in Tipperary) is experiencing since its launch in January, the Upperchurch Drombane Development Association facility got a new group of volunteers trained in climbing wall safety. Six local climbers were trained in early November but to keep up with demand for the climbing wall, another round of volunteers needed to be trained. Pictured are the new volunteers Billy Clancy, Michael Green, Declan Ryan, Jodie Kennedy, Aoife Dwyer, Jim Ryan, Mary Power, Dave Gaughran, Cathal McNicholas, Tricia Purcell, Pakie Purcell (Missing from the picture are Mary Sweeney & Richie Ryan). If you haven’t climbed before come along and join the fun – no experience is needed and all fitness levels are welcomed. 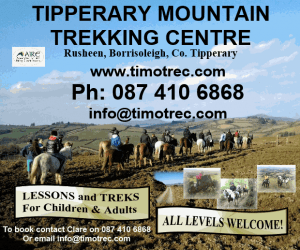 It’s only €7 per person and is suitable for 6 year olds +. The community run facility is open on Wednesday & Thursday evenings (7.00 – 9.30pm) & Saturday mornings (10.00-12.30). 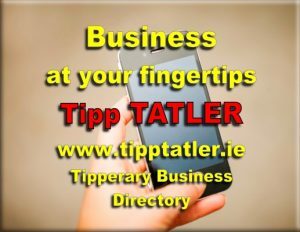 Bookings are required as numbers are limited per session – please call (087) 3919190.